Experimenting with sketch cards for a few reasons. 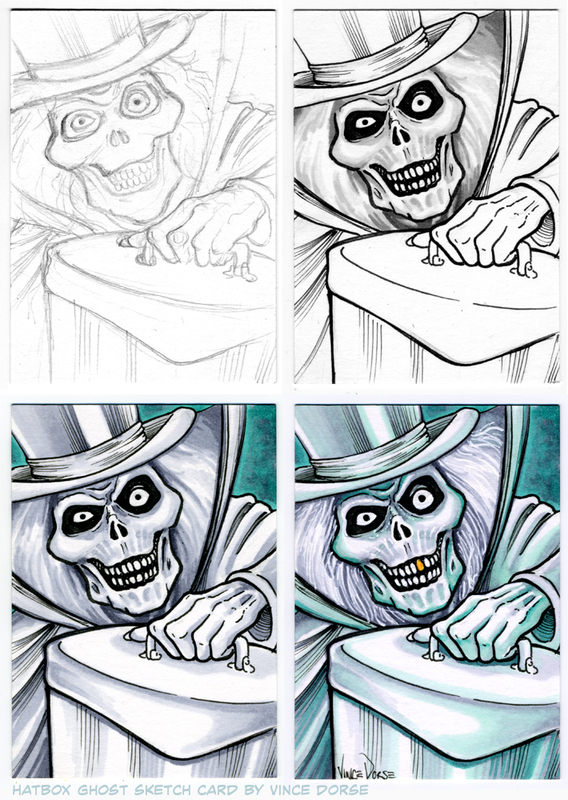 1) I draw big, so drawing on a 2.5″ x 3.5″ card is a challenge for me and I’d like to get better at it 2) I wanted to try out Copic Markers since I’d never given them a tumble 3) I really wanted to draw The Hatbox Ghost, originally part of Disney’s Haunted Mansion attraction. I mean, come on…just look at that ghoul!